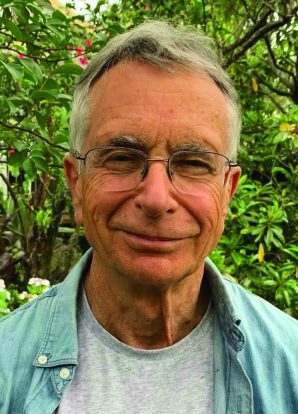 Tom Zubrycki is veteran Australian documentary filmmaker, who has directed and/or produced over 36 projects, including The Diplomat and Molly & Mobarak. The following is an extract from his new Platform Paper ‘The Changing Landscape of Australian Documentary’, published by Currency House and available at https://www.currencyhouse.org.au. In recent years we have seen a radical shake out in the old television broadcast model. So what place will documentary have in this new factual environment? According to statistics released by Screen Australia, documentary series production rose from 295 hours in 2011–12 to 366 hours in 2016–17. Yet only 21 single title documentaries were shown on television or cable in 2016–17 compared to 51 five years earlier. This includes commissions and acquisitions. Where once there existed a whole range of small independents whose business plan relied on a broadcast commission every one or two years, now there are few—and fewer still who work in the area of co-production. One exception is Simon Nasht of Smith & Nasht. His latest feature as executive producer is a one-hour science documentary, The Kingdom of Fungi, directed by Annamaria Talas. Fungi, the world’s largest and oldest of organisms, was a subject with genuinely universal appeal. While Kim Dalton was head of television at the ABC (2006–13), the broadcaster had a blanket ban placed on foreign formats. This is no longer the case. SBS never had that reservation. In the 2017–18 financial year, Screen Australia funded five factual series based on formats developed overseas, including Filthy Rich and Homeless, Teenage Boss and War on Waste 2. The agency contributed $2.66 million to these series: 17 per cent of the total documentary department budget. This has caused considerable alarm. On 25 May 2018, 37 producers, concerned at the impact this was having on the local independent sector, put their names to a submission pressing Screen Australia to refuse to finance such productions. Today there is a growing public demand to experience documentaries on the big screen. This is the case the world over. Cinematic documentary is booming. In the US there’s talk of a ‘golden age’. Here in Australia, where there’s also been a striking resurgence of documentaries in the cinema, the trend is similar. Between 2007 and 2011 only 38 documentaries achieved cinema release. In 2017, in just one year, a total of 19 Australian documentaries were released. These included Mountain by director Jennifer Peedom; The Namatjira Project by Sera Davis and Sophia Marinos; and The Opposition, a David-and-Goliath battle over land in Papua New Guinea by director Hollie Fifer. 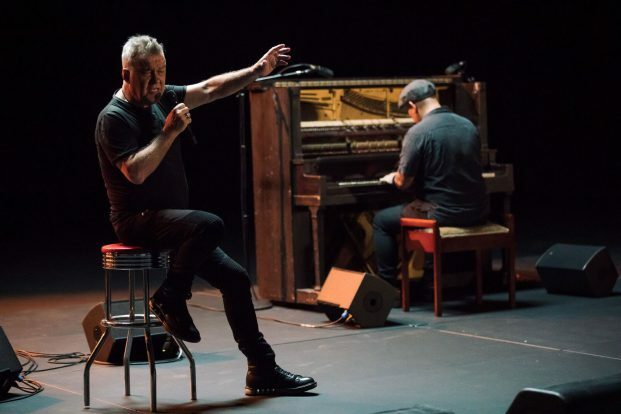 Jimmy Barnes: Working Class Boy was one of the most successful of the 18 released in 2018. Produced by Michael Cordell of CJZ and distributed by Universal, Jimmy Barnes ran up $823,000 on 230 screens—the widest release to date for an Australian feature documentary. After a few weeks’ theatrical run, the film turned up on Channel Seven, securing an audience of 1.2 million. According to Cordell, “the approximately 40,000 who saw the film on the big screen certainly did not affect the ratings”. Releasing Jimmy Barnes just prior to television showing was a smart move because the film piggybacked off the publicity generated by Barnes himself in the mainstream media and which spilt over into the broadcast. This kind of marketing is something that ABC and SBS have traditionally resisted, determined instead to keep the premiere run for programs they commission, but in so doing depriving themselves of festival showings and theatrical runs. In my opinion this ‘first window’ requirement is short-sighted because it denies the producer the opportunity of building the film’s profile. ‘Jimmy Barnes: Working Class Boy’. Jimmy Barnes is at one end of the scale. At the other end in the marketplace are a whole lot of low-budget features, many of which garner as much attention as (and sometimes more than) the bigger budget ones. In October 2018 Backtrack Boys, directed by Catherine Scott, a character-driven film about youth at risk in rural Australia, opened on 60 screens, helped in no small way by a social-impact producer and off the back of a successful film festival run at which it had achieved a lot of awards and publicity. Backtrack Boys deployed the new ‘alternative content cinema’ platform, which means a film has a typical run of only a limited number of screenings a week at a single cinema, and thereafter has the chance of building up an audience from week to week. The ways these two documentaries were financed, however, were quite distinct. Jimmy Barnes was a sizeable Channel Seven presale. Screen Australia funds and the Offset covered the remainder. Backtrack Boys was initially self-funded; then DAF [the Documentary Australia Foundation] got behind it as executive producer and finally they secured funding via Screen Australia’s Producer Program. “In documentary filmmaking, particularly creative documentary making, the lines between the development, pre-production, production and post stages are blurred; they intersect and inform each other, often in non-sequential ways that can’t always be predicted in scripts and treatments”. What would happen to projects that don’t make the cut after having received some funding? Griffin suggests they could be finished in other ways—perhaps self-fund at first and later apply to Screen Australia’s Producer Equity Program (PEP); or they could attract interest from distributors, broadcasters or philanthropists. This model involves calculated risks, but Griffin argues that in her model only the very best receive funding through to completion. In the end, she claims, the payoff will far exceed the risk and result in broadening the pool of voices in Australian documentary filmmaking and the types of films produced. Isn’t this what screen agencies are mandated to do? Filmmaker Anna Broinowski, on the other hand, believes that while Griffin’s new model could provide invaluable opportunities for emerging filmmakers and projects, Screen Australia also needs to do more to support high-end feature documentaries for theatrical and digital platforms. Making a feature documentary can often be a long, hard road. It can take years if it follows an unpredictable narrative, and I wonder how many promising films are started but never finished? How many important opportunities are missed, to share with audiences new and different stories about Australia and Australians? Opportunities are evolving for original short-form content on new online platforms, but not as fast as filmmakers would like; and the licence fees paid, with few exceptions, are quite small. In August 2017 The Australian newspaper premiered a new project: The Queen and Zak Grieve, a six-part documentary investigation by Ivan O’Mahoney and Nial Fulton. The six ten-minute films told the story of Grieve, a young Indigenous man convicted of murder and facing a life in prison under Northern Territory’s mandatory sentencing laws. 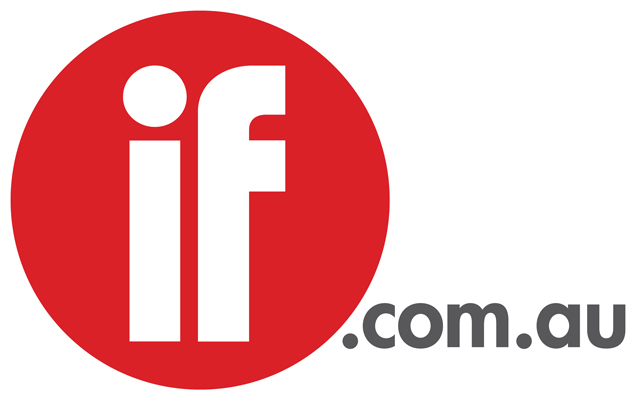 The series was launched on The Weekend Australian’s website in daily instalments. In the same way that many of the great (audio) podcast shows have unexpected twists and turns, O’Mahoney notes, “We wanted this series to have unexpected moments as well. We wanted to keep the viewers guessing.” Foxtel acquired the rights to a 90-minute version of the project. For them a tie-in with another Newscorp entity was enticing. 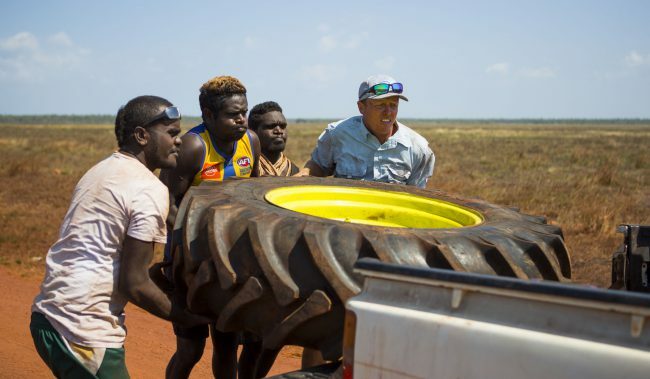 ABC Documentaries had been commissioning occasional series for their iview platform, but it was ABC Indigenous that took a risk with Black As, a 24-part sharp and funny adventure series of five-minute episodes, set in Arnhem Land. It confounded the commissioning editor Sally Riley’s expectations, getting over a million views. 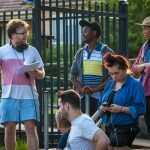 ABC Arts funds four different series, each made up of six five-minute programs called Artbites, also for iview, and aimed at emerging filmmakers. 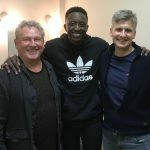 Artbites is supported by Screen Australia and is in its third year. SBS, too, has been an innovator in this new space. In August 2018, the network launched a world-first, live documentary for Instagram called She Called Me Red— the personal journey of Yunus, a 27-year-old Rohingya man now living in Melbourne. Through a series of Instagram posts and videos, audiences can follow Yunus as he navigates his new home while supporting family overseas. Followers can view Yunus’ regular updates, including curated text, photos and artwork. User interaction and comments will be integrated into the final documentary. The Changing Landscape of Australian Documentary’ is available at https://www.currencyhouse.org.au. The paper will be launched in Melbourne at ACMI as part of AIDC March 5 10.45-11.30am, and Sydney at OzDox March 13, 6.30-8pm at AFTRS.